Nestled by the Persian Gulf to the North, the Indian Sea to the East and Yemen to the South, Oman has long been part of the ancient trade routes, assisting in the transportation and trade of rare gem stones, frankincense, East African gold, feather and wood goods, and spices from the Far East. Then it comes as no surprise that Oman has had four sites recognised by UNESCO for its importance to history and the evolution of mankind. The Sultanate of Oman has taken great care in their preservation, with even limitations to tourist visits to maintain its conservation. Each site will make you feel transported back in time, marvelling at the engineering ingenuity, trade know-how while shivering at the level of mysticism present even in today's modern day Oman. 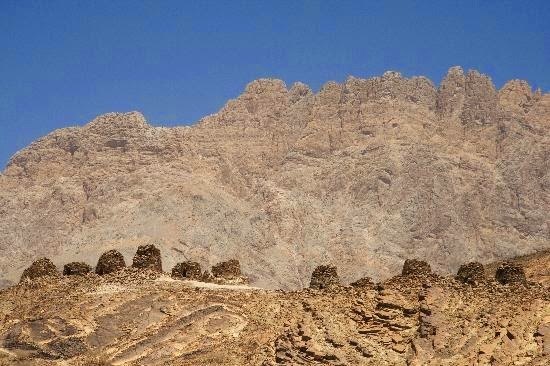 The Falaj Daris is the biggest falaj in Oman, and one of the five collectively listed as UNESCO World Heritage Sites in 2006. Nizwa's former prosperity was due to its plethora of water supplies, with over 134 aflaj (plural for falaj) in the Nizwa wilayat (village). One hundred of these are still in use today, while also providing for a great picnic location for both visitors and locals. Falaj Daris includes five aflaj irrigation systems and is representative of some 3,000 such systems still in use in Oman. The origins of this system of irrigation may date back to AD 500, but archaeological evidence suggests that irrigation systems existed in this extremely arid area as early as 2500 BC. Using gravity, water is channelled from underground sources or springs to support agriculture and domestic use. The fair and effective management and sharing of water in villages and towns is still underpinned by mutual dependence and communal values and guided by astronomical observations. Numerous watchtowers built to defend the water systems form part of the site reflecting the historic dependence of communities on the aflaj system. Threatened by falling level of the underground water table, the aflaj represent an exceptionally well-preserved form of land use. 2. The Land of Frankincense: Shisr, Sumhuram, Al-Balid, Wadi Dawkah. "The frankincense trees of Wadi Dawkah and the remains of the caravan oasis of Shisr/Wubar and the affiliated ports of Khor Rori and Al-Balid vividly illustrate the trade in frankincense that flourished in this region for many centuries, as one of the most important trading activities of the ancient and medieval world." Full day tours are available to book from Salalah in the Dhofar region. The zone encompassing the settlement and necropolises of Bat is the most complete and best-known site of the 3rd millennium BC. In a restricted, coherent space, the necropolis of Bat bears characteristic and unique witness to the evolution of funeral practices during the first Bronze Age in the Oman peninsula. This predeceases the ancient burial rites of the Ancient Egyptians. Historical sources recount that the country of Magan was the principal extraction centre for copper, which was exported even to far-away Mesopotamia, as early as about 3000 BC. The appearance of a more strictly hierarchical social organization (as attested to both in the settlements, where circular defensive structures contrast with rectangular houses, and in the necropolises, where the arrangement of funerary space is more complex) goes hand in hand with higher living standards and social changes linked to a trade economy. The immense, ruined Bahla Fort, with its walls and towers of mud brick on stone foundations and the adjacent Friday Mosque with its decoratively sculpted prayer niche (mihrab) dominate the surrounding mud brick settlement and palm grove. The fort and settlement, a mud-walled oasis in the Omani desert, owed its prosperity to the Banu Nebhan tribe (Nabahina), who dominated the central Omani region and made Bahla their capital from the 12th to the end of the 15th century. From there they established relationships with other tribal groups of the interior. Bahla was the centre of Ibadism (a branch of Islam), on which the ancient Omani Imamates were based and whose influence can be traced across Arabia, Africa and beyond. 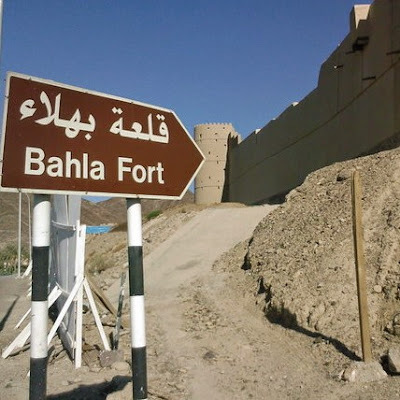 Bahla Fort can be visited daily on any itinerary in and around Nizwa.